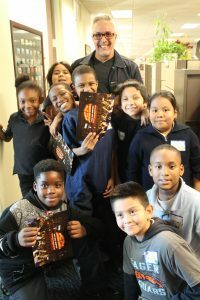 A unique component of the North Chicago Community Partners’ (NCCP) community school model is the extent to which we engage volunteers to increase our overall impact. We believe every person, regardless of their age, education, or experience, has the ability to influence the life of another. 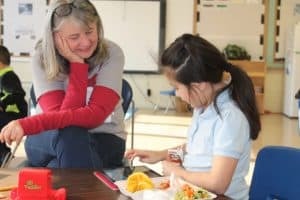 Therefore, it is the role of NCCP to understand the unique needs of each community school, to create a menu of ways for volunteers to help meet those needs and to make the volunteer experience meaningful. 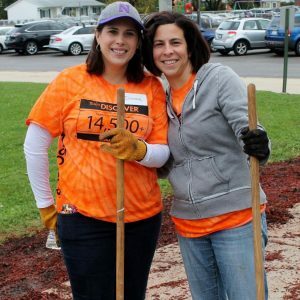 Since 2008, more than 10,000 individuals have volunteered through NCCP. This group of dedicated and passionate volunteers provides invaluable academic and enrichment support for students and families, transforms school facilities, collects wish list items to enhance our programs, graciously welcomes and serves families and teachers at special events and monthly lunches, and helps ensure students come to school ready to learn. Leveraging the time, talent and treasure of the broader community not only increases the impact of the NCCP community school model, but also allows us to support children and families most efficiently.